If you watched the Golden Globes, you may remember Adele won the Golden Globe for Best Original Song for “Skyfall”, the title track from SKYFALL starring Daniel Craig as James Bond. It’s now being reported that Adele will perform her award-winning song live at the Academy Awards, which should be a treat for 007 fans. The singer was quoted to say “It’s an honour to be nominated and terrifyingly wonderful to be singing in front of people who have captured my imagination over and over again. It’s something I’ve never experienced and probably only ever will once!” Not since 1981 (when Sheena Easton performed “For Your Eyes Only” has a Bond title track been performed live on the stage for the Oscars. But an even bigger treat comes in the form of a rumor that all six actors who have played James Bond may be appearing together for the very first time on the Oscar stage. 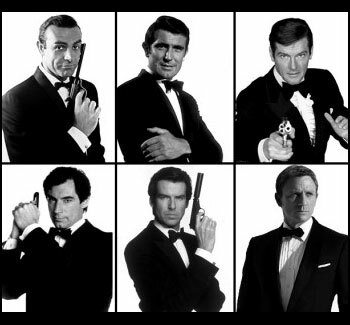 Sean Connery, George Lazenby, Roger Moore, Timothy Dalton, Pierce Brosnan and Daniel Craig could (possibly) be together on stage, right on the heels of James Bond celebrating its 50th Anniversary. Ian Fleming would be proud. We’re waiting to hear if this is officially confirmed, as right now it’s still a rumor, but there would never be a better time or place to do it. Would seeing all six actors together on stage be the coolest Oscar moment ever? Tell us your thoughts in the comments below. Here is a full list of nominees and our picks to win for this year’s Academy Awards. The 85th Annual Academy Awards airs February 24, 2013.